One of the main advantages of tile roofing is its exceptionally long lifespan: a tile roof typically lasts 100 years with proper care and maintenance. Both clay and concrete tiles feature natural insulation that helps reduce the heat absorbed the roof. It helps minimize your indoor heating and cooling requirements during extreme outdoor temperatures, which has a positive effect on your energy consumption. Tile roofing is heavier than most roofing materials and can help mitigate the effects of strong winds. Many homeowners balk at the upfront costs, which is significantly higher than that of asphalt shingle or metal roofing. You might be surprised to know that, thanks to its long lifespan, exceptional durability and low-maintenance requirements, it actually has a much lower lifecycle cost compared to the aforementioned roofing systems. This means that you will only ever need to hire roofers for a roof replacement only once in your lifetime…and perhaps even another. Both clay and tile roofing are available today. While they are functionally and visually similar, there are differences that are worth considering when choosing a new tile roof. Clay tile is produced by baking molded clay: the longer it’s baked, the stronger it gets. It typically comes in a natural red shade called terracotta, but can also have different colors by adding ceramic colors before baking. Clay tile is great for restoration work as the manufacturing and installation process remains faithful to its traditional counterpart. Concrete tile is made from a mixture of sand, cement and water. The baking process is almost the same as clay, except that the colors are applied after baking. Concrete tile is available in different profiles as well as different shapes, such as slate, wood shake and stone. This gives you more flexibility over how your roof will look. 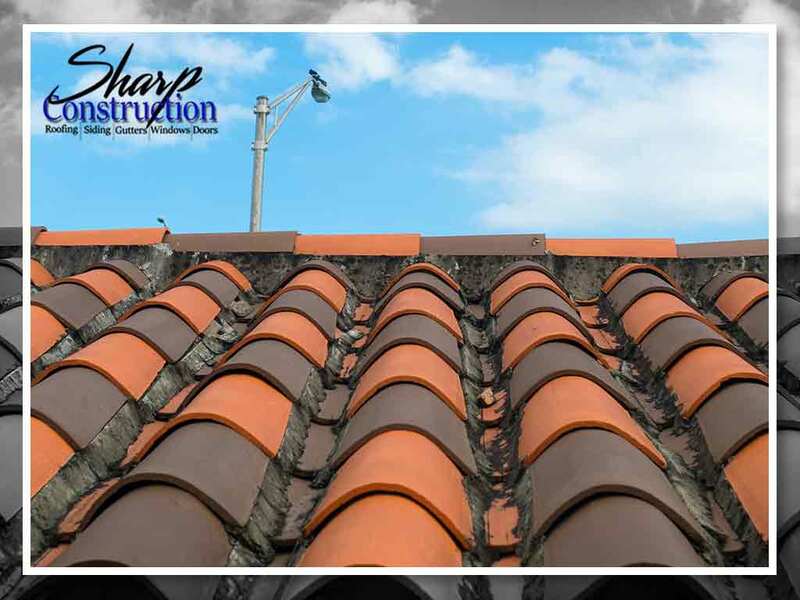 To learn more about tile roofing or our other services, including siding replacement, call Sharp Construction, LLC, today at (616) 222-0850. You can also fill out our contact form to schedule a free in-home consultation and estimate. We serve Holland and Walker, MI.